Cross-training while recovering from injury can be a useful and effective way to maintain fitness and forms an important part of the rehab process. However, it can also aggravate symptoms so how should you cross-train when injured and what works best for each injury? To date, there is minimal evidence to recommend specific forms of cross-training that should be used with specific injuries. Our recommendations come from understanding what activities aggravate certain conditions and which are usually well tolerated. In practice it often comes down to what exercises you can do comfortably rather than set activities based solely on the injury. Running and cross-training isn’t about dos and don’ts. We aren’t creating a list of things people can’t do just be aware that some activities may be more provocative and should be done in small, manageable amounts. This is important because when people avoid things they can become hard to get back into afterwards. Also people tend to assume we avoid them because these activities are harmful, which they aren’t! Be guided by symptoms as not all injuries will be aggravated by the usually provocative activities – the recommendations below are just a guide. See how you respond to cross-training and progress from there. If you’re unable to run it’s a good opportunity to work on strength and conditioning which forms a large part of modern running rehab and can improve performance. See your physio for a rehab programme suited to your needs. What cross-training suits each injury? In tendinopathy (such achilles tendinopathy, PTTD and proximal hamstring tendinopathy) symptoms are often aggravated when the tendon is required to store and release energy. This happens during the stretch-shortening-cycle (SSC) during running and activities that involve plyometrics (hopping, jumping etc). There isn’t usually a SSC during activities like cycling, normal walking, or slow resistance training which the tendon will usually tolerate well. In fact heavy, slow resistance training is now a key rehab tool for tendinopathy. Patellofemoral pain symptoms are usually aggravated by activities with high levels of load on the patellofemoral joint. This includes deep squats, lunges, stair ascent/ descent and the knee extension machine. As group workouts like cross-fit often include weighted squats and other activities these may well aggravate patellofemoral pain. Cycling (with low resistance), swimming and aqua jogging are usually well tolerated. Similar activities to those that aggravate patellofemoral pain will also aggravate ITBS (deep squatting, lunging etc). In terms of cross-training options ITBS may be more likely to be aggravated by cycling (it is a common complaint in cyclists) and so swimming and aqua jogging may be preferable. ‘Shin Splints‘ (Medial Tibial Stress Syndrome) is a form of bony stress reaction thought to be caused by excess load on the tibia. As a result it is aggravated by impact or long periods of weight-bearing activity that load this bone. Cross-training involving minimal weight-bearing such as cycling or swimming is usually well tolerated. It is also important to include some periods of weight-bearing in cross-training to stimulate healing so short periods of walking or using cross-training machines can be encouraged if comfortable. Plantar fasciitis is usually aggravated by long periods of walking (especially barefoot or in unsupportive shoes) or impact. Cycling, aqua jogging and swimming are all usually comfortable. Try to mirror what you would be doing if running during cross-training. If you were planning a long slow run, do a long slow bike ride or swim. Likewise interval or tempo sessions can be done in cross-training too. By matching training length and intensity you will still get many of the cardio-vascular benefits of the exercise and maintain fitness. One word of caution though, if you’re new to the activity build up gradually. Don’t replace a running injury with a cycling one! Structuring your training in the right way with gradual progression can reduce risk of injury and help prevent recurrence. Summary: if recovering from injury cross-training to replicate your running can be hugely beneficial. Pick an exercise you enjoy that feels comfortable and, where possible, maintain a level of running. 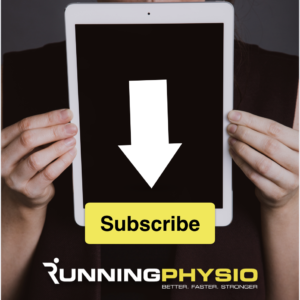 If unsure about cross-training options or if you should rest from running see your physio or health professional – if in doubt, get checked out! For more information see this comprehensive review of cross-training by @John1_Feeney and this excellent piece by @SamMurphyRuns. Next articleWhat causes running injuries? Really useful post, thanks Tom. Glad to see aqua aerobics is good for runners knee – as that is what I have been doing since I got injured! I’m wondering about the best cross training for top of foot pain, extensor tendinitis? I’ve been wrapping my feet and cut back on training period as I do not want this to last any longer that necessary! Any tips or advice would be appreciated.